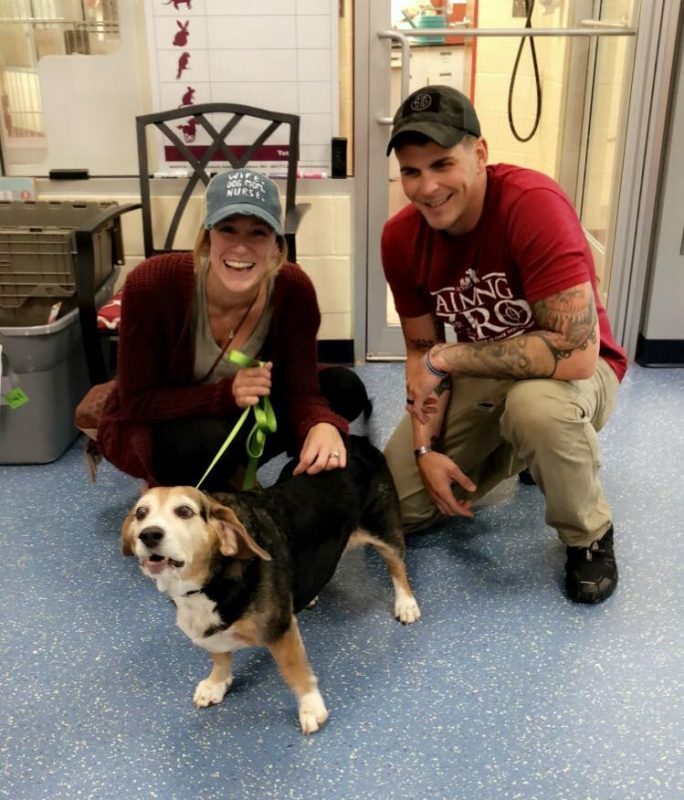 The story of Jack, the senior beagle, caught the attention of many of our Facebook followers last week. Jack was surrendered to us because his dad got deployed. We posted his story in hopes of finding a family to step forward and be hero for Jack, while his dad heriocally serves our country. His dad really wanted his buddy to find a new family to make certain he was loved and comfortable in his golden years. It was remarkable to see our community rally to support this serviceman and to help Jack. The post was shared many times and it caught the attention of a young couple and compelled them to help. They came to meet him the very next day and fell instantly in love with him. 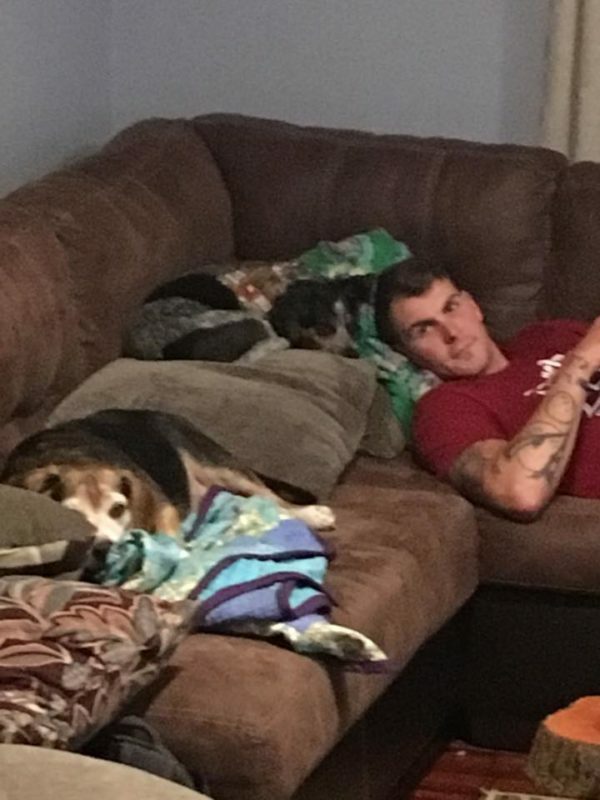 His new dad is also in the military and felt very connected to Jack’s story. They also have a beagle mix named Sammy, so Jack has a new brother to play and nap with! “My heart is so full to see my boys cuddled up with full bellies enjoying their first night together. We LOVE our new family!Thank you for allowing HIM to adopt US! We are beyond ecstatic to be Jack’s new parents”. They are heroes in our book, and so is everyone that helped us share his story. Thank you! Earlier this week we posted a video of Freddy Mercury, a young Peking duck, on our Facebook and Instagram pages. The short video shows him trying to make friends with some of our horses as they pass his enclosure. For a solitary duck at an animal shelter, it can get pretty lonely. 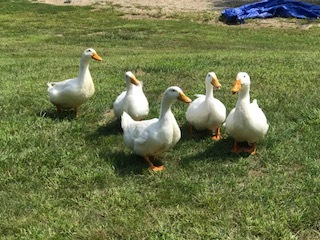 Ducks are much happier with a flock of feathered friends. Within hours, the story of this lonely little duck, captured the hearts of many of our followers. 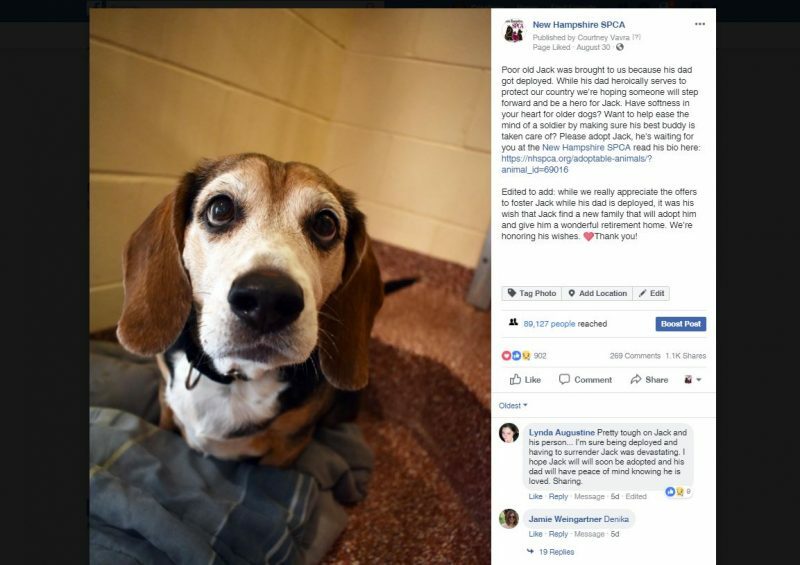 The post was shared over and over- and by the next day we had received dozens of calls from families wanting to adopt him. He went home shortly after we opened for the day. We were amazed at the outpouring of concern for this little guy. It’s heartwarming to know that our community has a soft heart for every type of homeless animal! Just a few short hours after being adopted, we received this picture from his new family. That’s Freddy Mercury (smiling) on the left, meeting his new friends. He’s not lonely anymore. Check out our other adoptable farm animals here.